Have you ever heard that if you find the end of a rainbow your reward will be a pot full of gold just for you, with which you can do whatever you want when you want. In the world of business, that pot full of gold is in the real estate, a place where if you take the right steps and invest wisely, you will finally find the end of your rainbow to obtain your desired reward. The essential thing, the main thing to know is that there are several options within real estate that can give you a constant profit so you will not have to focus specifically on a single branch, of course, the more you know about where to go, the better will be the results in the medium and long term. invest your money in houses for rent or in houses which need some kind of arrangement and then sell at the market price are opportunities that are waiting for people like you, who want to use their money for the future benefit and even, They want to increase their wealth exponentially. Obviously it will not be so simple, to find the end of that rainbow which you chose does not seem so easy, but, once you get into this adventure, you will realize that one of the best decisions is to use your money wisely, increasing your stability economic and allowing you to achieve the dreams that perhaps without investing you can not achieve. 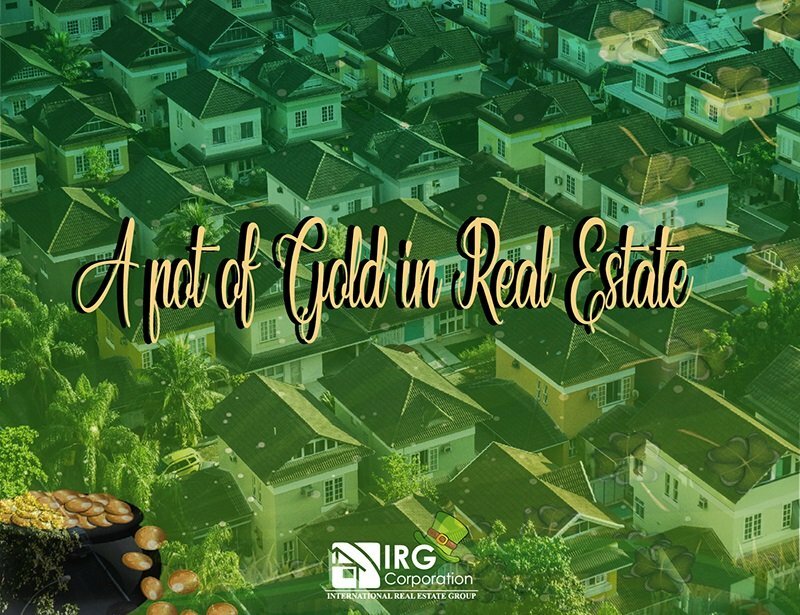 So if what you want is to have your pot of gold for you, come to the world of real estate, consult with professionals that take you as close as possible to your goal and ensure your future. Do not let st patricks arrive by letting it go unnoticed and approach good luck and abundance; Here at IRG Corporation we will gladly help you to get to that gold mine in a definitive way, the only thing you have to do is get in touch with us and you will see how the magic happens.